Mankind has free will so anything is possible. and one’s mind over matter. Long ago "BC" (Before Computers) -- even before the instant-everywhere Internet accelerated the knowledge explosion and rate of change in exponential terms -- the word "Avatar" had a different meaning. It was the incarnation of the Great Spirit in form that represented the archetype of the Age -- the Avatar of the Piscean Age. We still keep time with the "AD" of the Piscean Age, "After the Death" of the Christ Avatar archetype -- to love one another. mediating the matrix of reality with the frequency of His Message, as in frequently. It took almost 2000 years for the Avatar of the Age to culminate the Piscean Dispensation with sufficient social conscience in the New World of America to begin the Great Experiment in representative government. have had a rocky road in the meantime. The pure intention of U.S. Founders has been a huge challenge to organized greed in self-serving organizations that put their love of power -- for profit and control -- over any accountability, as you can read in recap at "Fearless Faith in the Face of Freak'n Fear". the Galactic Shift and a reboot of consciousness on the 2012 timeline. As at the beginning of a new day, it is sometimes darkest before the dawn. Global civility is in a crisis much like the crisis of early America - only the scale is different. There is still the dark-side concentration of power whose love of power would eclipse the power of love. But take heart. Every great soul in the cosmic scheme of eternal progression has the same message for winning from the beginning of this momentous time in cosmic history. Once the computer/Internet revolution matured to web 2.0 platforms for social interactions – Internet servers that created social networks – the term “avatar” took on a different meaning. It became an interactive interface that represented an individual’s persona – a graphic symbol which you could personalize, sometimes as a humanoid looking personage that you could shape and dress up the way you want to represent yourself. now-common web 2.0 social networks. The recent movie Avatar reinforced a stepped-down humanoid meaning of "avatar". Some would say it provides a glitzy high tech 3-D bread and circuses diversion for the restless masses, supplanting the much needed archetypal meaning of "Avatar for the Aquarian Age". Others would interpret the movie in terms of the on-going struggle between power elite tyrants and murderers who also seem invincible today, but now face a Higher Power that is everyone’s "final judgment" in Aquarius – the choice for global freedom in love. The movie Avatar is not just a love story between two individuals, or love of an indigenous people for their world, but a greater love of all sentient life as a holy whole -- the love matrix that represents a Higher Power which wins in the end. How to be winning from the beginning of the Big Shift into Aquarius is not a mystery when known. There is a divine destiny for Earth’s evolutions. That victory has already occurred in the timeless continuum, and the movie Avatar is a modern day parable for that victory. SEE: “Avatar as a Parable of Freedom Overcoming Tyranny". In the eternal scheme of soul evolution, God has methods whereby divine Love heals all. Man has free will to love in a divine way or forego the blessings thereby. This science of success for soulutions ordains that what we conceive and believe we can achieve. Once conceived with pure intention, and believed with focused attention, a common sense vision for evolutionary ascension becomes a self-fulfilling prophecy, both individually and collectively. 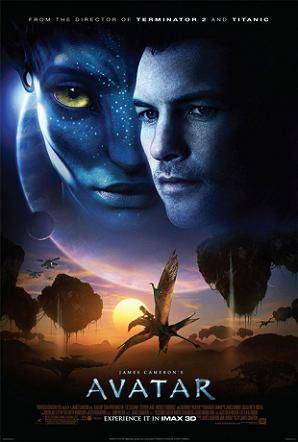 In the movie Avatar, the concept of an interactive avatar was a genetically engineered alien humanoid that had a DNA mind-body connection with a remote viewer, a connection that could link the DNA and consciousness of a human with the DNA and consciousness of the humanoid. the energies connecting every cell of the body with the web of life. That science was demonstrated with its high-tech sci-fi potential in the movie Avatar, which takes place in the year 2154 on the planet Pandora, 'a moon of the gas giant, Polyphemus, which orbits Alpha Centauri A. That science has also been demonstrated by Indigo children, Tibetan Masters, and adults awakening worldwide with extraordinary gifts and talents as the veil thins on the 2010-2012 timeline. More on the science with living examples can be read at, Understanding the Brain. This is the living spirit and power of the Avatar of the Aquarian Dispensation – the heart, mind an soul as an interactive interface for divine love in both form and function. It is a representation of the spirit that matters both individually and in our collective consciousness. This Avatar represents the spirit of freedom in love at the heart of the Age of Aquarius. Global humanity has evolved to this point of instant-everywhere and interactive connection that now compels an answer to the questions, “Connection to what?”… “Connection through what?”... and "What are we waiting for?" Think about that. How do a hundred or thousand or million global Netizens respond to the same program at the same time without creating noise? That would require an interactive interface for simultaneous mass-to-mass mediation. The framing of that interface – its “constitution” as a frame of reference for both origination and evaluation of content – will naturally frame the unified field of consciousness interacting. In other words, it must represent universal law language at the highest level of "Avatar" (divine soulutions), or by default ("avatar" with a small "a"), it will only compound human problems with "only human" solutions. the greater the results for a golden age. The genesis of a New Age in the image and love of, by and for freedom is the inspirational consequence of the Aquarian Avatar - the spirit that matters for this Age, at this time. That spirit represents cultural DNA, the constitution of web infrastructure modeled around the language of consciousness that frames full-spectrum conscience. How we "frame" or otherwise set up mass-to-mass TeLeComm is how we culture our individual and collective conscience. And it is the interactive interface -- a process for culturing conscience -- that will ultimately mediate the pure intention of the Aquarian Ascent Avatar, a triple A rendition of the first principles of universal cosmic law with pure geometry -- the quintessential framework of the fractal order of the universe as the prime directive of, by and for "Geometrically Ordered Divinity" (G.O.D.). for mediating Net reality with heartware. four sided pyramid of self and civilization. cyber thics mediating conscious rEVOLUTION. cosmic energies are morphing Earth’s energies in dramatic ways. Earth’s magnetic north pole has been moving towards Siberia at an accelerated rate. Two planets in our solar system have recently experienced pole shifts. The climate on all the planets has been dramatically changing. And the shift in cosmic energies is prelude to the morphing of human DNA with a shift in human consciousness that makes DUH obsoleteJ. Our home planet is a cosmic stage with great cosmic drama unfolding. Many old and new souls will see a Grand Finale of "fireworks". It’s been called “the end of time” as we have known it. at the cusp of the shift into Aquarius. The “judgment” will be with “fire” this time. The degenerate self-destructing system is in its twilight. the Avatar of the Aquarian Age. is now doing its 3660 year fly-by. by wholesale looting of the Treasury. The Solution: Fire up the Avatar grid shields! to deflect the EM fields of Nibiru as it passes close by. Higher Power in God~Love sees God~Love as Higher Power. The Power of Love is the Higher Power needed now. passions that forge our fetters. Such an Avatar is destined to go mainstream in Aquarius. freedom with LOVE becomes a self-fulfilling prophecy. Without ethical culture, there's no salvation for humanity. It must be of the spirit, if we are to save the flesh. A Golden Age is Earth's destiny, once refined. Many are the dimensions where that is defined. Many are the divine rooms in the Lord’s Mansion. But singular is the intention for love’s dimension. Singularity beats polarity with focused attention. with room in the Mansion for full-spectrum retention. Divine Love is the rule at the heart of Higher Power -- a God of Love. This is the inner sense at the heart of innocence - no will to power. the worldwide web of social conscience in our social networks. TO: one's brain as an extension of social networked conscience - global conscience. "...Let us meet in caucus and say to one another. 'Let us have one plan, and let us go with that plan, and let us go with it big time. Let us do that. Let us not have little groups here and little groups there, thinking they know what to do when you have to have MasterMind consciousness that you are going to transform not only a nation but a world.' This is a global situation and nothing less, so you must think globally. ...This is a pivotal moment. This is it beloved. There will never be a greater moment, a greater opportunity to solve the problems of Earth and to win stripes for your ascension..." ~ Saint Germain via E.C. Prophet, Jan. 1, 1997, as the global Internet revolution went mainstream with the need for masterminding with heartware. electrical capacitor, got charged up as it came in around the sun. if the sun arcs solar flares in the direction of Nibiru and Earth. and things could get dicey. it would be a good time to do so. Do what the poor in spirit are not able or willing to do. Pray, plan and prepare for the best, come what may. Please forward freely as though global civilization depends on it. of a more enlightened nature. knows and serves, raising the shields in the process. PS: Feel free to print hard copy of Emerging Blueprint and related links “for the record”. it could at least provide the Emerging Blueprint for a Golden Age to follow. PSS: I’ll help any way I can, and the time window is narrowing for preppers. by God’s grace, will be sufficient for the challenges we face.